In the Blurb bookstore yesterday I discovered some very pretty art. 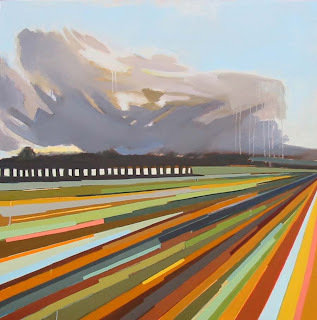 I really like the heavy presence of "skies" in her paintings as well as the vibrant colors streaking across the canvas. Yes, we did love Paris! I have pics on my blog, you probably have to scroll down to the bottom. I blogged a few times while we were gone and added pics when we got home. And yes, it was soooo expensive!